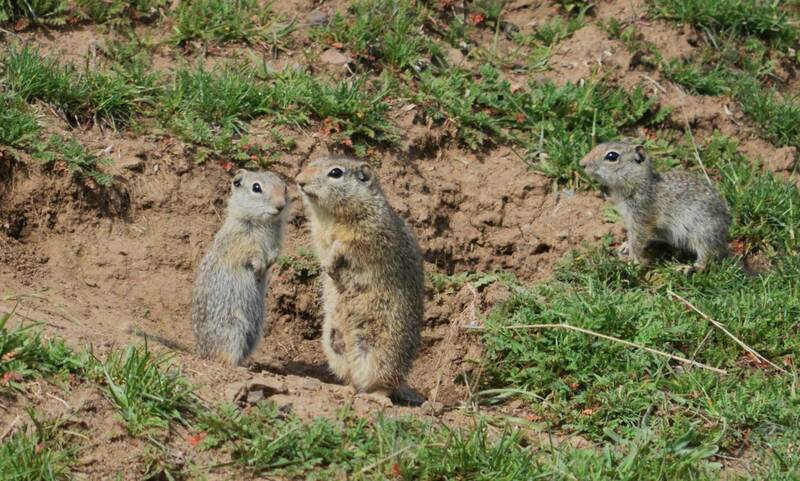 In 2010, Zoo Boise teamed up with College of Idaho researchers, Dr. Eric Yensen and Teresa Tarifa to develop a program to breed and translocate a captive population of Southern Idaho ground squirrels into the wild in an attempt to re-establish extinct populations. Why Help Southern Idaho Ground Squirrels? Southern Idaho ground squirrels are a keystone species, because they play a critical role in maintaining the structure of their ecological community. They are ecosystem engineers and are crucial to building soils and maintaining soil fertility. Southern Idaho ground squirrels are also important prey for a long list of raptors including prairie falcons, ferruginous hawks, golden eagles, Swainson’s hawks, red-tailed hawks, rough-legged hawks, Cooper’s hawks, goshawks, northern harriers, ravens, and other majestic birds of prey. The Southern Idaho ground squirrel has an exceptionally small geographic area that lies between Weiser, Payette, Midvale, and Sweet. They are a state-protected species, but are still vulnerable to extinction. The main threats are persecution (poisoning and shooting), habitat conversion (agriculture and urban use), human-caused changes in the natural fire cycle, and habitat degradation due to invasion by exotic plants such as cheatgrass. Zoo Boise maintains a captive breeding population in a non-public part of the zoo, where there is plenty of open space to roam and dirt for an intricate tunnel system. 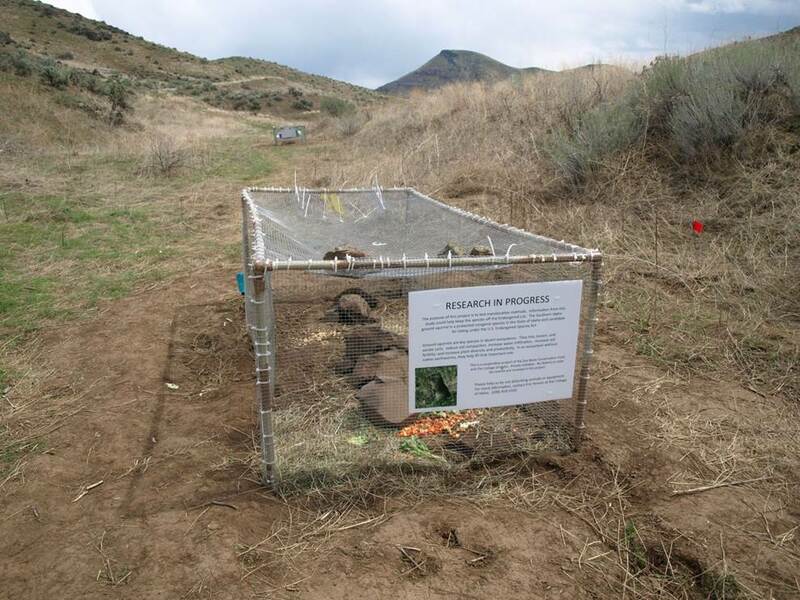 In 2012, 2013, and 2014, the team headed by Dr. Yensen and Teresa Tarifa translocated Southern Idaho ground squirrels to a study area in Gem County. They used ground squirrels born at Zoo Boise as well as wild-caught squirrels from a nearby ranch that were scheduled to be poisoned. As of last spring (2016), the Gem County population appears to be self-sustaining. 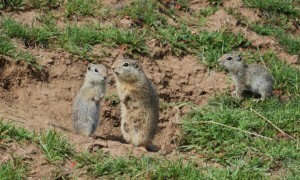 Translocating ground squirrels is not like reintroducing wolves. We simply cannot move them around and expect many to survive. Predation seems to be the major killer, because they have an army of predators. After being translocated, they need time to establish a burrow system for living and to escape from enemies. To accomplish this, a special translocation pen was created to give the ground squirrels enough time, protection, and resources to survive while acclimating to their new environment. They can stay in this pen until they choose to burrow their way out and into the wild. Even though the Gem County population appears to be self-sustaining, based on these studies, translocation is a conservation measure of last resort. It’s expensive, time-consuming, and translocated ground squirrels have a higher mortality rate than wild squirrels. The lessons we are learning from captive breeding and translocation at Zoo Boise can be applied to other ground squirrel species such as the Northern Idaho, Washington, and Mohave ground squirrels. Some of these ideas have already been incorporated into a translocation attempt for Washington ground squirrels.